Frozen Dinner Deal At Walmart! This is a wonderful way to get some quick and easy meals for yourself that you don’t have to worry how many calories and etc you are eating. 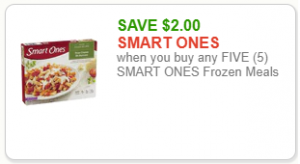 I always like being able to purchase good frozen meals at a good sale price.